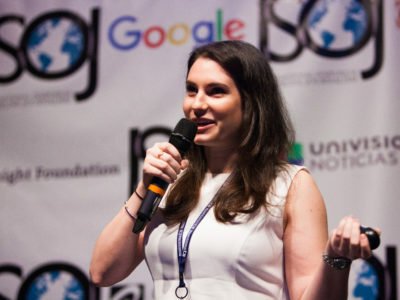 More than 400 people from 41 countries registered for the 2016 International Symposium on Online Journalism, featuring keynote speakers Kinsey Wilson of The New York Times, Yoani Sánchez of Cuba’s 14ymedio and Kara Swisher of tech site Recode. For the first time, conference attendees also heard from a keynote panel of leaders of five nonprofit journalism organizations. 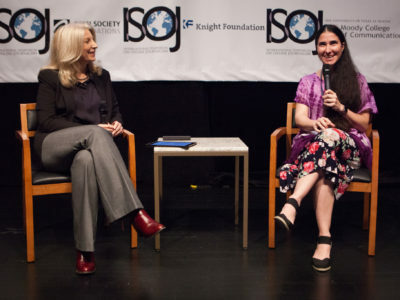 Panels discussed topics as diverse as distributed content, advertising, journalism and activism, women digital leaders, bots, challenges in journalism around the globe and virtual reality. 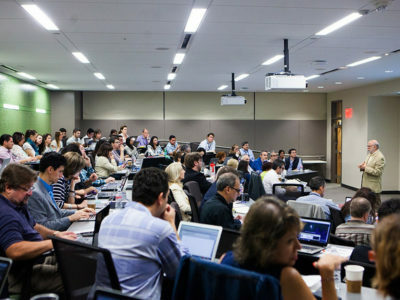 We also heard from researchers about the latest in online journalism trends. 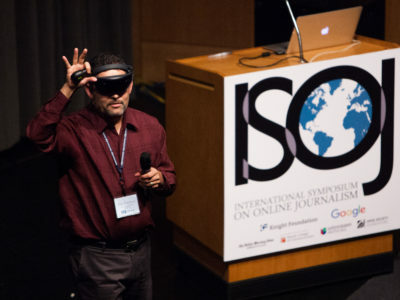 The 17th ISOJ was sponsored by the John S. and James L. Knight Foundation, Open Society Foundations, Google, Dallas Morning News, Moody College of Communication and Univision News. 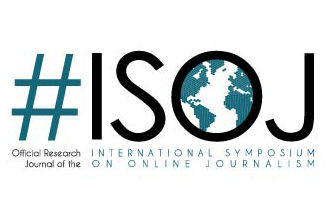 Please explore this page to find presentations, videos and more that will help you to re-live ISOJ 2016. Distributed Content: Can journalism survive and thrive in a media ecosystem where publishers don’t control their distribution channels? Journalists as activists and activists as journalists: Has the internet blurred the line between journalism and activism/advocacy? Did you get the buzz? Are digital native media becoming mainstream?